Hello Darlings, Tomorrow, Toronto Pearson International Airport welcomes a new tenant to its domestic terminal — DAVIDsTEA! This welcome addition will offer jetsetters a new way to relax, energize and hydrate while travelling. With more than 150 teas to choose from and new items like the travel tins, the newest DAVIDsTEA store offers tea lovers like me with a moment of escape and bliss before boarding! 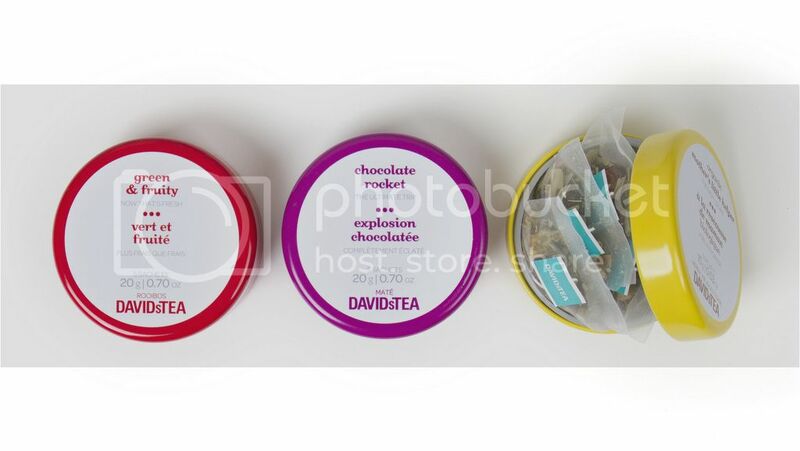 Congratulations Sandra D on winning DAVIDsTEA "Travel Tins Collection". Sandra's winning comment on the topic of her favorite vacation destination: "Ireland for me ! Not only is it beautiful but all my family and friends are there !" To celebrate the occasion, and given the huge response from our Fall Collection contest, DAVIDsTEA has kindly offered to treat another wonderful WithLoveGabrielle.com readers to their new Travel Tins Collection! 1. Leave a comment below telling me your favorite vacation destination. 2. Tweet about this contest at @DAVIDsTEA and @WithLove_ and be sure to add the link to the article. Please Note: This contest is open to everyone in Canada and the USA. The contest closes Sunday, September 23rd at 4pm.